Chad Selweski covered state and regional politics at The Macomb Daily for nearly 30 years. He contributes to Deadline Detroit and blogs at Politically Speaking. 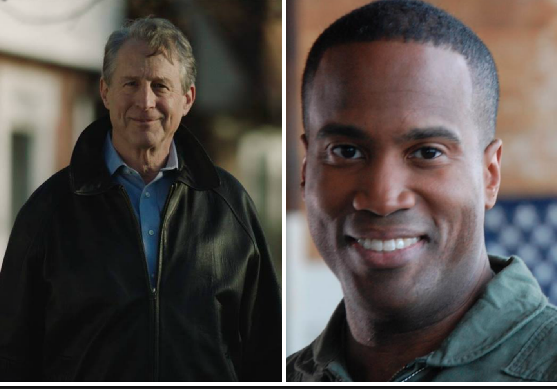 With just days to go before Michigan’s Aug. 7 primary, the Republican Party race for U.S. Senate between Sandy Pensler and John James has become a battle of superlatives within the bubble of GOP politics. Who supports President Trump the most? Who’s the most conservative? Who’s the hippest candidate? These could emerge as more determining than any policy issue. Which candidate is the true conservative has dominated in the final weeks of the primary campaign as the newest poll shows the two contenders deadlocked and many voters still undecided. At one point, Pensler derided James as a “phony conservative” but that attack was chopped down last week when Trump enthusiastically endorsed James’ candidacy. Pensler responded with an endorsement by Sen. Rand Paul of Kentucky, a favorite of libertarian-leaning Republicans. Paul called Pensler a “constitutional conservative” who favors smaller government. With the Michigan Republican Party once again searching for a strong nominee to take on three-term Democratic Sen. Debbie Stabenow, the primary season has become a learning experience for GOP voters, as neither contender was known to the public at the start. James is a first-time candidate; Pensler ran an unsuccessful House campaign more than 25 years ago. Both are Detroit area businessmen: Pensler, of Grosse Pointe, is an industrialist, a “turnaround specialist,” who owns four formerly failing manufacturing companies. James, of Farmington Hills, took over his father’s auto-related firm and expanded it. But the contest also presents a generation gap between Pensler, 61, and James, 37. In the competition for the hip candidate, James has taken center stage, with no attempt by Pensler to participate. James has the full-throated backing of the GOP’s two favorite rockers, Ted Nugent and Kid Rock. 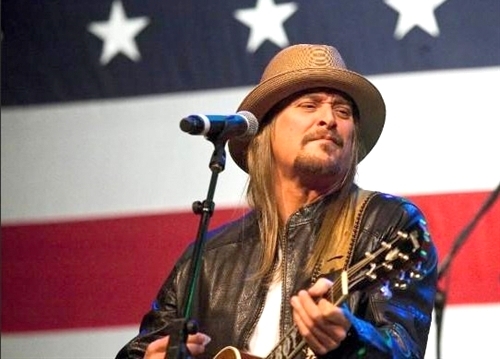 Kid Rock first appeared on stage with James at a June campaign event where the musician announced his endorsement for the newcomer. The Kid is expected to appear with James again at a Metro Detroit campaign rally on Monday, the day before the primary. Earlier this month, Nugent brought James on stage during the Motor City Madman’s concert at the DTE Energy music theater in Clarkston. After a profanity-laced rant, Nugent declared his support for the candidate and gave James, an Iraq War veteran, the opportunity to deliver high-octane remarks to the crowd. As for the tug-of-war over the most conservative mantle, both Senate candidates adhere closely to the party’s less taxes, less spending, less immigration mantra. But both have stumbled at times. A Pensler campaign ad noted that James’ only campaign contribution ever consisted of a $500 donation to a liberal Detroit City Council candidate who now supports “sanctuary cities,” which shield illegal immigrants from deportation. At the time, James said, he naively backed a local candidate running for office in a district that included his family’s Detroit business. In response to a counterattack, Pensler was forced to defend a few campaign contributions he made to Democrats two decades ago. The wealthy financier said he has contributed more than 30 times to GOP candidates and his attempt to “cross the aisle” with Dem donations was a mistake. On the abortion issue, James has the Michigan Right-To-Life endorsement and has asserted that his opponents’ pro-life credentials come up short. Pensler conceded that he was a pro-choice advocate in the past but evolved to the anti-abortion stance 20 years ago. As both candidates vie for the affections of staunchly pro-Trump voters, James attacked “liberal” Pensler for saying Trump talks “like a fourth grader." Pensler cried foul, contending that his remarks in context show that he was complimenting the president. He tried to say that Trump successfully boils issues down to a fourth-grade level, which Pensler views as an admirable political skill. Both Pensler and James have had to admit they did not initially support Trump in the 2016 GOP presidential primary season. Pensler supported Sen. Marco Rubio of Florida, and James sided with Sen. Ted Cruz of Texas. President Trump in Macomb County. 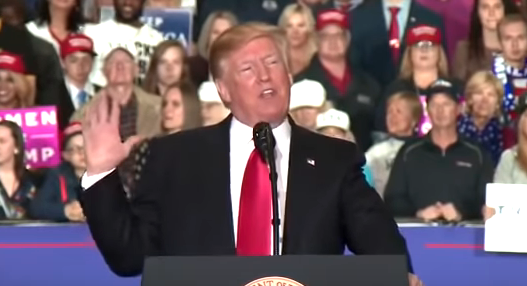 Regardless, the president’s endorsement for James on Friday was probably sealed by the perceived slight of Trump by Pensler’s “fourth grader” remark. Guilt-by-association tactics in this campaign could become increasingly nasty in the final days, based on Pensler’s newest ad. It tries to tie James to longtime liberal civil rights activist Jesse Jackson – specifically, a Jackson effort to expand minority-owned auto businesses across the U.S. 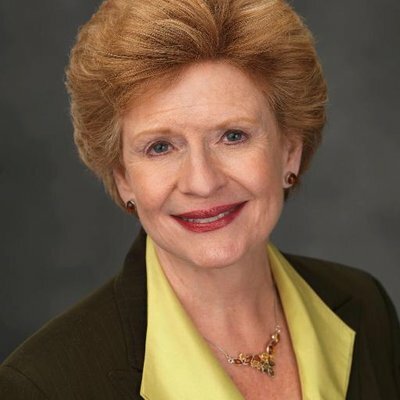 Meanwhile, Stabenow sits on the sidelines, waiting for her GOP opponent and knowing that she has had little difficulty winning re-election over the past dozen years – two election cycles. While the general election is 14 weeks away, Stabenow has already established a dominant campaign cash advantage, raising $15 million and sitting on $6.2 million in the bank. That puts her several million dollars ahead of either Republican opponent. Beyond the money, a new NBC/Marist poll found that Stabenow currently holds the lead by at least 15 points over either GOP Senate candidate. The statewide poll of Republican primary voters released last week by Lansing-based EPIC-MRA, the survey that declared the GOP primary race a statistical tie, found James at 39 percent and Pensler at 38 percent. Regardless of the outcome next Tuesday, the GOP’s most daunting adversary going forward may be voter apathy. The 39-38 standoff was produced after pollsters urged undecided GOP voters to weigh in and make a choice. Still, the number of undecideds andf those with no opinion of either candidate stood at 23 percent, not too far back from the support for James or Pensler. The big picture within the poll found that nearly half of Republican voters had either little interest, or no opinion, of either GOP Senate hopeful seeking to advance to the fall general election.